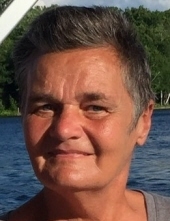 Beverly Ann “Bev” Rautmann, age 67, formerly of Elkhart Lake, passed away peacefully (November 26, 2018) at her home in Plymouth after a courageous 2 year battle with ALS. She was born in Sheboygan County on July 2, 1951, daughter of the late Joseph and Elaine (Vogel) Lisowe. Bev attended area grade schools and graduated from Plymouth High School in 1969. On November 11, 1972, she married Steven Rautmann at Salem U.C.C. in Plymouth. The couple resided in Elkhart Lake following their marriage, and then in Townsend, WI for 5 years before moving back to Plymouth. Bev worked at KW Muth, Lear Manufacturing, and Sohn Manufacturing, retiring in 2013. Bev also loved going on Harley rides with Steve, and spending time with her loving family, especially her grandkids. Survivors include: Husband: Steve; Two sons: Todd (Heidi) Rautmann of Plymouth and their children: Sydney and Kyleigh, and Tim (Jessica) Rautmann of Mequon and their children: Carter and Paige. She is further survived by: Sisters: Bonnie (Donald) Neuhaus of Kiel, Karen (Jeff) Feldmann of Elkhart Lake, Pat (Gary) Laack of Townsend, Rosie (Ed) Coffeen of Kiel, Jody Seehaver of Manitowoc, Tammy (Gary) Gutschow of Plymouth, and Linette (Dan) Kissinger of Kiel; and Brother: Scott (Tammy) Lisowe of Kiel; and Sister-in-law: JoAnn (George) Pethan of Chilton. She was preceded in death by: Her parents; Brother: Randy Lisowe; and Brothers-in-law: Larry Seehaver and Jim Rautmann. Following Bev’s wishes, cremation has taken place and there will be NO SERVICES OR VISITATION. In lieu of flowers, memorials are suggested in Bev’s memory to ALS research through the ALS Association Community of Hope website. A private donation fund has been established in her memory. The family would like to send special thanks to the staff of St. Nicholas Hospice, as well as the ALS Specialists at Froedtert Hospital in Milwaukee for the wonderful care and compassion given to Bev. To send flowers or a remembrance gift to the family of Beverly A. Rautmann, please visit our Tribute Store. "Email Address" would like to share the life celebration of Beverly A. Rautmann. Click on the "link" to go to share a favorite memory or leave a condolence message for the family.